Blackie and Pinkie…… I know, incredibly thoughtful names. 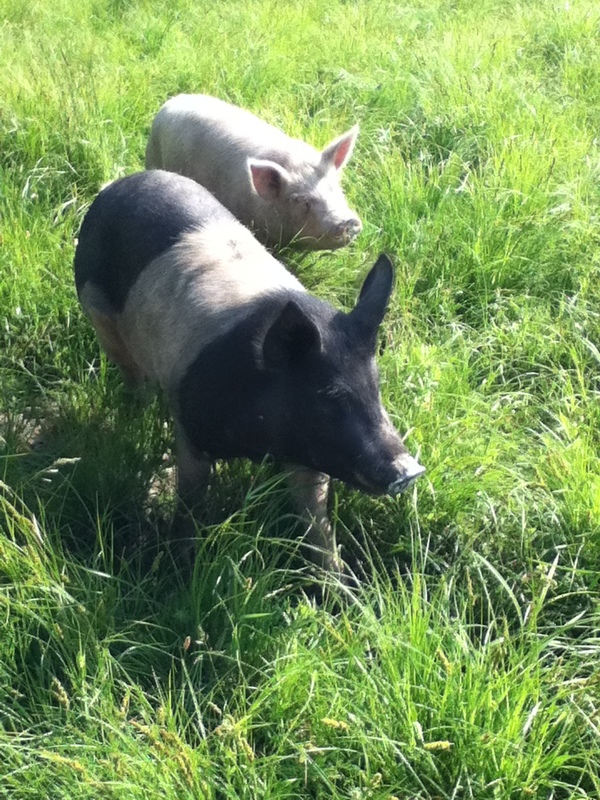 A boar was procured and piglets joined us 3 months, 3 weeks and approximately 3 days later. It also had to be on a very windy, rainy and overall yucky day. A very nervous Shepherd and I ‘tried’ to help by moving Momma and babies to a more central location. As in, not the farthest reaches of a 40 acre pasture they were in. Truly, we should have saved ourselves the stress. They didn’t get moved, Momma made it clear to us they were just fine. She made a comfy nest for them, all the piglets survived and thrived. 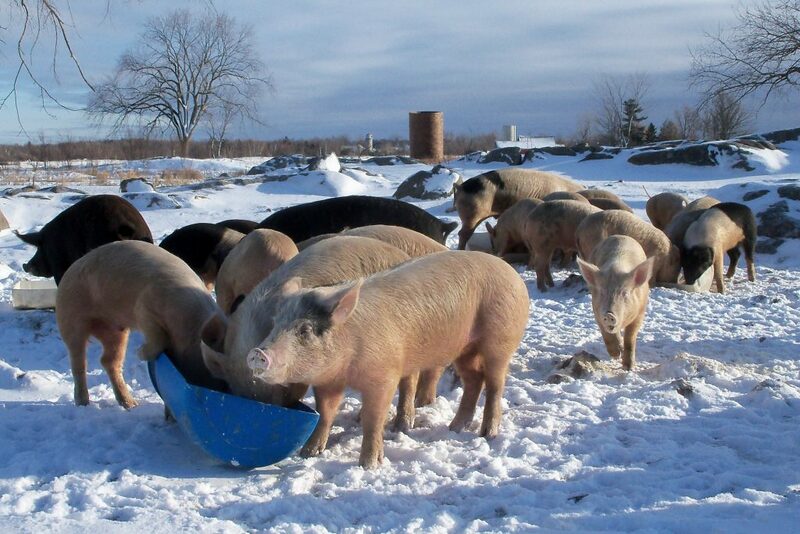 So began our story of raising pigs. John & I raised and grew our small herd for about two years before being introduced to Jeff Hill and his family who live just a few miles from us. Jeff & Melissa had been looking for someone who was as equally interested in raising an outstanding pig. After much research by Jeff, the Berkshire breed was settled upon for both their hardiness ( we do live in a very cold area after all) and for being incredible mothers. Berkshire pork, long known to be the ‘Kobe beef’ of the pork world tasted just as good as it was hailed to be. Sweet, full flavored, and oh my – the fat! He purchased some gilts ( young females) and we excitedly waited the year and a bit for a finished pig and boy, was it worth the wait! These old style pigs are full flavored, with a much darker red meat that is truly marbled, much like a beef steak. The extra fat was amazing. The only thing we have changed is in feeding them a barley based feed that we feel really creates the best texture and flavor. Hope you enjoy the winding road to our tasty and humanely raised porky goodness!